Resistance to distractor inhibition tasks have previously revealed impairments in children with autism. However, on the classic Stroop task and other prepotent response tasks, children with autism show intact inhibition. These data may reflect a distinction between prepotent response and resistance to distractor inhibition. The current study investigated this possibility using tasks that systematically manipulated inhibitory load. 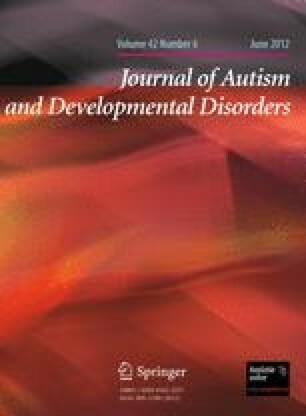 Findings showed that children with autism performed comparably to typically developing and learning disabled controls on a prepotent response inhibition stop-signal task but showed significant inhibitory impairment on a modified flanker resistence to distractor inhibition task. Although the results are clearly consistent with the suggestion that autism is associated with a specific deficit in resistance to distractor inhibition, they may in fact be related to an increased perceptual capacity in autism.